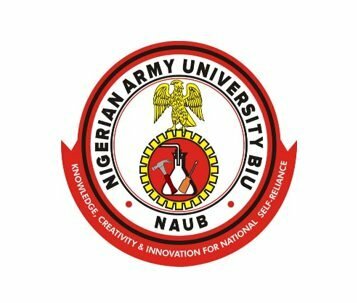 NAUB Post UTME Form is Out – Nigerian Army University Biu (NAUB) admission forms into its Undergraduate Programmes for the 2018/2019 academic session are now on sale. Applications are hereby invited from suitably qualified candidates for admission into the four-year Degree programmes of the Nigerian Army University Biu (NAUB) for the 2018/2019 Academic Session. The Nigerian Army University Biu (NAUB) is a public tertiary institution established to engage in imparting knowledge and skills to students using specialized facilities and multi-disciplinary approach; a centre of excellence for various innovative researches and development in military science and technology, logistic management, humanities and other related disciplines. Nigerian Army University Admission Requirements. a. Must have written the Unified Tertiary Matriculation Examination (UTME) and obtained a minimum cut-off mark of 180 in the exams. Candidates should refer to the JAMB admission requirements for Universities for O’ Level/A’ Level course combination for their choice of course. b. Candidates must possess a minimum of five credits in SSCE or its equivalents in not more than 2 sittings. The subjects must include Mathematics, English Language and the subjects relevant to the candidate’s chosen course in both Science and Humanities. c. Foreign students intending to study at NAUB must have passed equivalents of O’ Level/A’ Level examinations in their respective countries. Those from Non-English speaking countries are to provide evidence of good proficiency in English. How to Apply for Nigerian Army University Admission. For the 2018/2019 admission session, candidates interested in studying at NAUB are to change their First choice of Institution to the Nigerian Army University Biu in the JAMB portal/website. Candidates are to also upload their credentials to the portal and pay a non- refundable screening fee of N2,000.00. (Two thousand Naira only). Candidates are therefore advised to visit the University’s website at www.naub.edu.ng from time to time for important information after application. For further enquiries, please contact us on 07037775329 and 08181373087.